People get stuck in a mono-culture, a sameness of being, a routine of predictability. They end up doing today what they did yesterday, and will do it tomorrow, and will wake up one day and say, “WTF? Why didn’t I do anything great with my life?” Don’t do that. It’s not a lot of fun. One of the quickest pathways to failure is getting stuck in a rut. Break out of it. 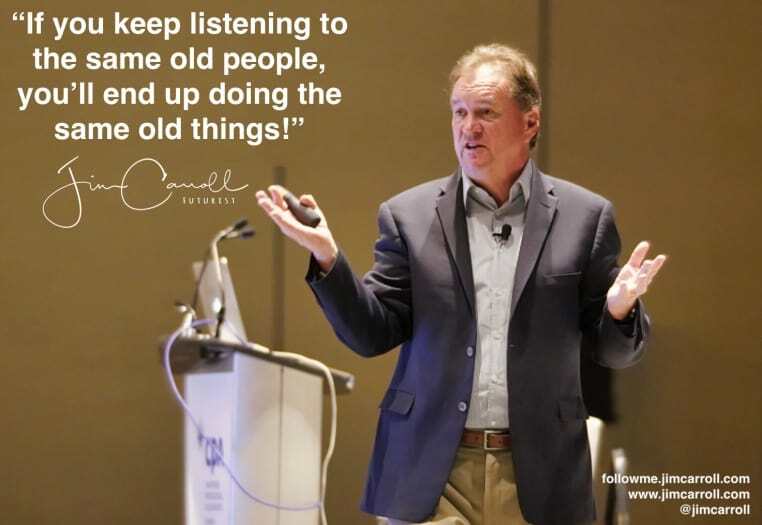 It happens with companies and organizations too – they seek the same old insight, the same old advice, from the same old people, and end up doing the same old things. Last week, I was contacted by a senior executive with a global company. “We need to shake things up!” went his message. “We really need your insight to get our team to think differently!” Then yesterday, he came back with a phrase that is all too common in this industry. “We decided to go with an internal speaker.” In other words, they are going to hear the same old things, the same old ideas, and will end up doing the same old thing. This organization is in the energy industry – which is being energized, if you pardon the pun, by change. Accelerating changes to the grid, distributed energy concepts, faster renewable science, changing consumer behaviour, the impact of hyperconnectivty – tomorrow, his company won’t look anything like it does today. Yet, it probably will, because they’ve got a culture of sameness, an inability to reach for vision, incapacitated by lemming-like-thought. It happens all too often. The simple act of seeking my insight would not have changed the world, but it would have indicated their ability to reach beyond themselves to understand what comes next. Do this today – find someone weird, unique, different, odd. Spend some time with them, and listen to what they have to say. You’ll come away with a different perception of the world, and better insight into your future!